You can make a difference in the lives of trafficked children from your hometown! 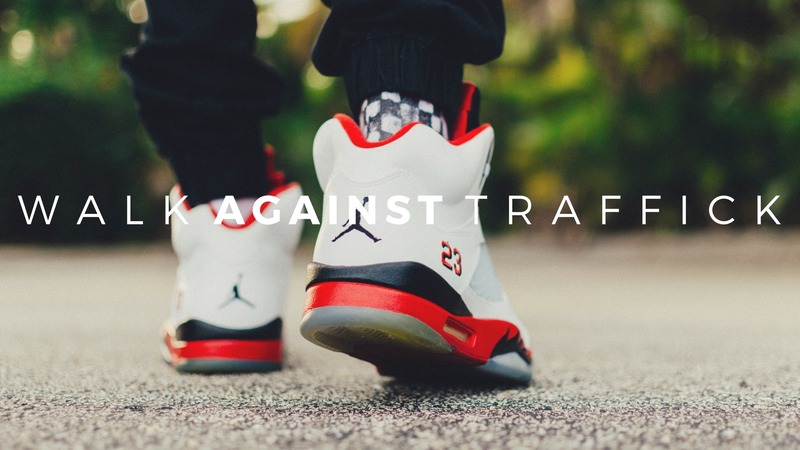 We are looking for volunteers to host a Walk Against Traffick in YOUR area. These walk-a-thons can be held any time of year, though most are held in the spring when the weather is good, and can be tailored to fit your community in any way that you wish. Contact our coordinator, Drew Mellon, at hardplacesdrew@gmail.com if you are interested in hosting a walk. I’d like to tell you a little bit about the name. First, we want the term “walk” to be understood more as a journey rather than physically walking. This is for two reasons; we don’t want to limit our events to walk-a-thons and we want to invite people to join us not just for one event, but rather invite them to join in a whole movement to bring freedom to those oppressed. Think about it in terms of your “walk with Jesus,” etc. Secondly, the acronym for our new name is W.A.T. Some of you may know that the temple grounds at a Buddhist worship site are referred to as a Wat. For example Angkor Wat, the ancient temples in Siem Riep, Cambodia or Wat Phnom in Phnom Penh where we have one of our kids clubs. We plan to use this in some of our marketing and advertising as a way to connect our fundraising efforts with what we are doing on the ground in Cambodia. Most Americans will not know what a Wat is, but we can teach them about it and that will help them remember what W.A.T. is. So as you can see…W.A.T. works and the benefits of this event are far reaching! Contact our Volunteer Coordinator, Phylicia Snow, or Hard Places Community USA Director, Drew Mellon, directly to find out what it takes to be an area coordinator for your area! The more walkers we have, the sooner children are set free. You can walk as an individual, as a family, as a group, as a team-anybody can help. An area coordinator is the person in your local area who is in charge of making the event happen in your town. Don’t be intimidated by the title — anyone can do this! You would simply gather groups of friends together to participate in the walk. ANY friends, from any walk of life. We want to recruit people from hospitals, banks, universities, churches, clubs or groups, wherever! So, we need area coordinators to recruit! Our USA Director, Drew Mellon, will coach each area coordinator and give you great ideas on how to reach people. He will walk you through the whole thing! Participants can sign up directly with you or on the website. You will stay in contact with the walkers in your area until the day of the walk, reminding them of the location you have chosen to start the walk and where you will end it, time to show up, etc. You will collect each walker’s money the day of the walk, and send it to International Outreach Ministries in Mississippi (our USA headquarters) on the Monday after the walk. You will ask people to donate juice and water, set up a welcome table. Then, you just cheer everyone on the day of the walk! There are several options for walk location. You can do the walk wherever you feel is best for your location. However, we suggest finding a good centralized location such as a park, track, or campus location where walkers can come and go throughout the day. That way you can have other events and opportunities to raise money for your walk. If you become an area coordinator we will help you with the details! Depending on your location, the event may vary slightly, but when you sign up to walk or run you sign up to make a difference! Every person counts! Every penny counts! See the sign-up page and contact your local area coordinator. If there isn’t one near you then consider becoming one! We would love to talk to you about it. Contact national coordinator Drew Mellon with any other questions (drewmellon@gmail.com). Tell everyone you know about this event. Ask your friends to join you in it. If you cannot walk yourself, encourage others to. Lead people to our website and our Facebook page. Follow us on Twitter. Talk it up!